Life been so busy lately. I don't even have time to pause and was working non stop since I came back from travel. By the way the travel was so awesome, can't ask for more, there are so much things to tell about and I took dozen of photos and really had a wonderful time. All been so smooth but it felt so surreal, as if it was only a short nice dream. I had pinched myself a few times during my travel.. just to ensure that I am not actually dreaming. Now I am back to where I am with a new perspective, and I really wish and hope my next return won't took me this long. I flied with Emirate from Kuala Lumpur to Auckland, New Zealand. Simply because there are no hidden cost involve like any other airline and they are so generous in term of luggage weight which we are allowed me to carry 30kg max. Before reach Auckland the flight will transit in Melbourne for few hours. 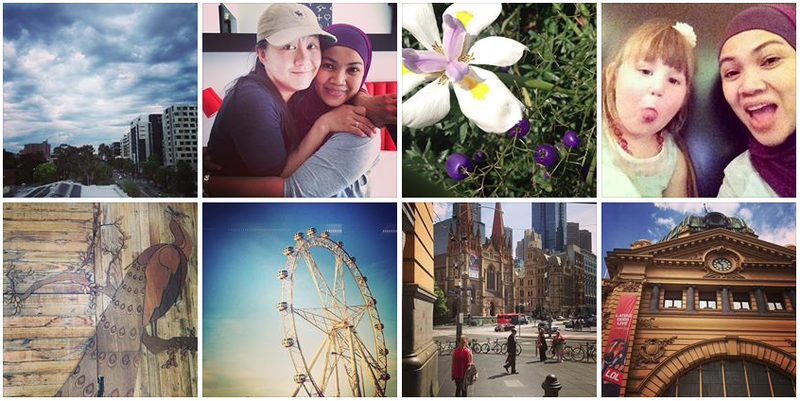 Me and Shasha felt it was such a waste to just transit for few hours and we decided that we should spend 4 days to experience Melbourne city before proceed to the next stop Auckland. And I heard the coffee was really good. Landed at 2.05am in the morning we waited till 6.00am in the morning, sleep and do a bit of clean in the airport before proceed taking a SkyBus to city. There are only two ways to go to the city, either we took a taxi or hop into SkyBus to the Southern Cross Train Station and then catch a train that bring us to the nearest station in town which was Flinders Street Station. We have plenty of time before hotel check-in. Phewww I have started to feel the adventure that awaits us. Basically, I am more than okey being guided by a map and asking around for a direction because that was the real travel all about. Getting lost, bumped into exciting surprises, get to know local, 1001 possibilities. I had did my research and homework of overall view from internet before fly and kind of know what to expect. People are so helpful and friendly.. and everything seems so smooth. So far so good:) We reached Flinders Street Station, one of the prominent landmark of Melbourne. Since it was still early we grabbed a coffee and sandwiches from one of the kiosk there, sitting down, just enjoy looking at people passing by rushing going to work. It going to be a lot of walking with luggage in hand need to be dragged along. And YES the coffee does taste really good. I had contacted my old friend Pei Rhu before hand, we used to work in Advertising Agency back then probably around 10 years ago. I am going to catch up with her for lunch before check in to the hotel. She resides in Melbourne now, got married with Aussie and have two beautiful girls. I am trilled to meet her after such a long time. We scream and hug and feel so excited that we finally meet eyes to eyes. She brought us to one of her favourite cafe.. and YES the number of cafe are endless here, with a great selection of good food. Day began with nice coffee from cafe across the street. We gonna visit the galleries and walking around the city. The weather are so unpredictable, it can be raining, sunny, cold; 4 season in one day. It still not officially summer yet. We walked quite a lot and sometimes hop into the tram that pass through close to the hotel going up and down through the middle of city. You just need a smart card Myki, your ticket to travel on Melbourne's trains, trams and buses. We went to visit National Gallery of Victoria (NGV) that encompasses the Australian art collection of Indigenous (Australian Aboriginal) art and artefacts, Australian colonial art, Australian Impressionist art, 20th century, modern and contemporary Australian art. Walking through rainy day I am glad to be under the roof enjoying the art collection here. They had on going exhibition that involves more than 175 individual and group presentations, as well as a suite of special projects which extend from the visual arts to architecture and design, dance and choreography, performance art and sound. The exhibition was carried from NGV across to The Ian Potter Centre, another major gallery that normally dedicated exclusively to Australian art. It was such a very eye opener and stimulating experience by looking at each of exciting piece from different era. 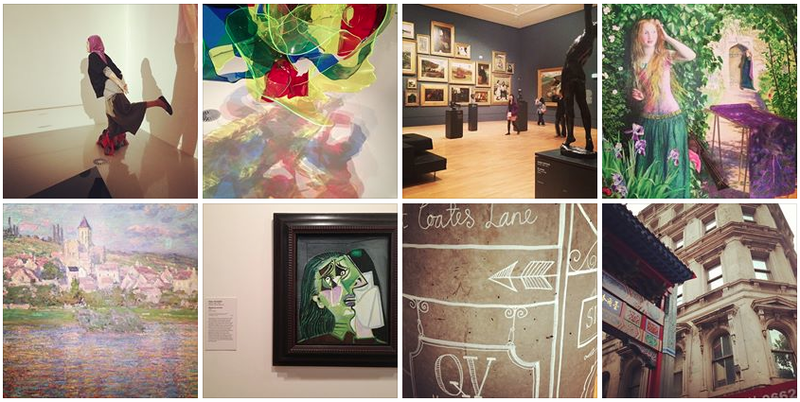 The way they interpret art, different approach was something that I could learn and inspire about. 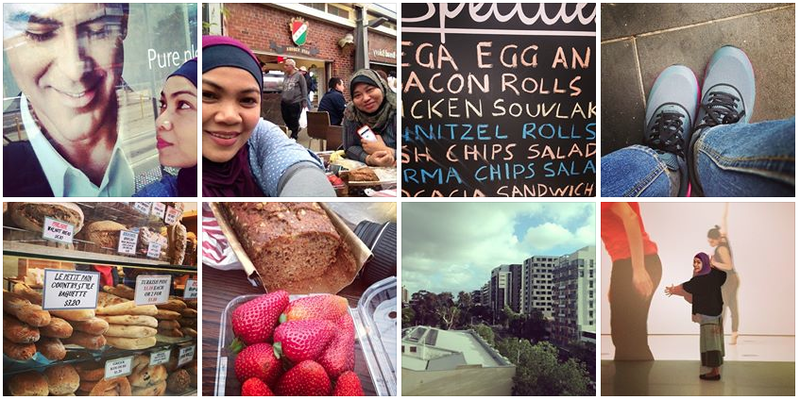 Today we are planning to go to Queen Victoria Market for brunch. It was located quite close to our hotel about 10 minutes walk. Also known affectionately as ‘Vic Market’ or ‘Queen Vic’, the Queen Victoria Market has been the heart and soul of Melbourne for more than a century. A historic landmark spread over two city blocks, it’s a vibrant and bustling inner-city Market where you can shop for everything from Australian fruit and vegetables, and local and imported gourmet foods, to cosmetics, clothing and souvenirs. I love their Gourmet Food section especially. With choices of nice homemade bread, cake and delicacies…It was not hard at all for me to adjust to the taste of food while travel. There are so much selection of delicious vegetarian food to choose here. I am okey with not having an Asian food, meat or rice as long as halal. Had my online registration for a package of Walk for Art before travel. So excited to meet Bernie that will guide us walk through and discover and explore art activities in different level. It was more to behind the scene tour which will take us to street art; art in artist-run initiative spaces, artist studio all hidden in Melbourne unnamed buildings and lane-ways. While waiting for the time; at 2.00pm to meet, we had hop in the free ride of City Circle tram service that operates within Melbourne's central business district. The service operates in a circular route passing major tourist attractions, as well as linking with other tram, train and bus routes in and around Melbourne. We dropped by at South Yarra. South Yarra is one of Melbourne's oldest and most affluent inner-city suburbs, bordered by the Yarra River and Richmond to the north, Prahran to the south and Toorak to the east. Shopping, fashion, dining and entertainment are the main features of South Yarra's extensive commercial precinct. 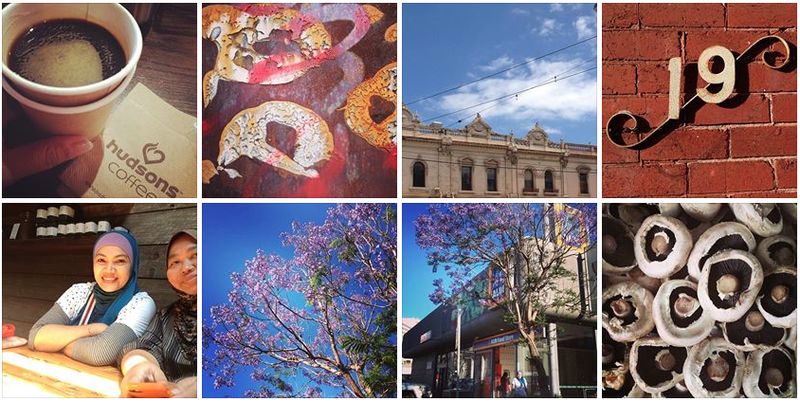 Busy Chapel Street is lined with exclusive retail outlets, cafes, clubs, the popular Jam Factory entertainment complex, the Como Centre and Vogue Shopping Plaza. Commercial Road, which divides South Yarra from Prahran, is home to more retail shops, the Pran Central Shopping Centre and the iconic Prahran Market with its large selection of gourmet foods and fresh produce. Toorak Road is home to restaurants and many stylish fashion retailers featuring the best of local and imported goods. We met Bernie at Bar Ampere, 16 Russell Place Melbourne off Little Collins in the block of Swanston and Russell Street. Together with another 2 tourist from New Zealand. 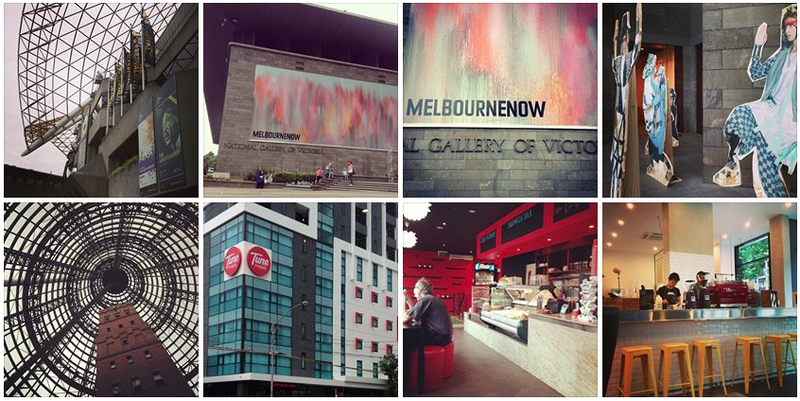 The guides brought us to Melbourne’s hidden art treasures. I had witnessed the hidden installation art at back alley that does not visible from the main road. 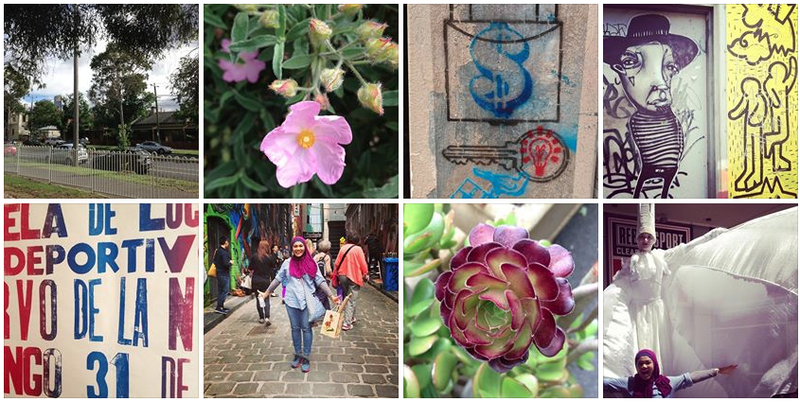 We discovered interesting street art, installation and boutique galleries in hidden laneways and arcades. These are what mysterious about Melbourne, all the gems that you need to explore and discover by finding it at the back alley. There are so many layers of surprises that make your day seems too short. Such a very crazy experience, perhaps 4 days are too short to cover everything. I lost count the number of coffee and do not forget the incredible taste of chai latte too. Gonna meet Pei Rhu today in South Melbourne. We took a train and meet her there. Oh dear! South Melbourne are another interesting place to visit. There are so many designer & crafter shops in South Melbourne, every shop are so individual from one to another in term of style. These are pretty much close to what I want to see. It was so inspiring to see on how simple things can appear so nice and presentable. Such a very calm area, we just walk and stop for eat and walk again to discover many beautiful boutique craft shop. It was so amazing with a nice beautiful weather on our last day. It was sad to say good bye to Pei Rhu and Melbourne. It just like a jigsaw puzzle and I started to understand and see the clear picture of what this unique city could offer and I should come again… should should should come again, because there are still many to explore. I personally found Melbourne, a very charming city, not that I had travel much to different part of Australia to compare with except Perth. But I love the way it surprise me and there are so much inspiration around it.